The secret to getting stronger isn’t much of a secret. It’s weightlifting. We’ll show you how to start weightlifting and begin your journey to a stronger you. Weightlifting has been one of the most popular fitness methods, for good reason. Weightlifting does more than bulk you up. Strength training has a myriad of benefits; you gain more strength, you burn fat, and you’re able to keep more fat off for a long time. Here’s the catch: many newbies aren’t sure where to start. Here’s how to start weightlifting. When a beginner starts their weightlifting journey, they often debate about hiring a personal trainer, or a PT. There are many benefits of hiring a personal trainer. A trainer can identify your current fitness stance and fitness goals and can develop an effective weightlifting routine for you. Beginners can easily get lost in the myriad of weightlifting machines, weight types, and lifting techniques. Trainers are experienced in all of these areas. Trainers are also your best bet to ensure you lower your injury risk and are in correct form. Personal trainers are also beneficial if you plan on competing in competitions or if you need to lose an exceptional amount of weight. Trainers can provide fitness and diet tips to get you in the best shape of your life. Trainers also closely monitor your routine, your progress, and provide constant motivation for slackers. What if you have a decent amount of strength training experience but are simply altering your weightlifting regimen? You’ll still benefit from a trainer. But if you’re comfortable with lifting, you can try developing your own fitness routine. If you have regular (once a week) personal training sessions on top of solo workouts for at least a year, you’ll gain enough education and comfort in your fitness routine. While hiring a trainer is almost guaranteed to give you the results you want, by going out and conquering your fitness goals, you’ll likely still gain the results you want. So hiring a trainer is a choice that you should consider. The weight you lift depends on the results you want. Contrary to popular belief, you don’t have to lift extremely heavy to increase your strength, tone your body, and even bulk up. Here’s a more detailed explanation of each weight type. These are weights you can pick up with ease. You won’t feel any strain and can even make it throughout your full set without feeling any tension. Differentiating between moderately light and light weights are difficult at work. With moderately light weights, you should still be able to pick up the weight with ease. But at the end of your set, you’ll feel a little bit fatigued. When you first lift a weight at moderate strength, you can easily lift the weight but you will have to use extra effort compared to the previous two weight types. You’ll likely feel fatigued after your set, but not completely exhausted. This is where most people train. You’re able to pick up the weight but still feel like you need to make an effort for each rep. But you’re still able to achieve correct form and have a lower injury risk. It’s ill-advised beginners lift heavy on their own without the aid of a trainer. You’re not able to easily lift the weight and have to use all of your strength and effort to even do a rep. You’ll find doing each rep difficult and will feel completely exhausted after your set. Which Weights Should You Lift? For best results, you should lift all weights. Different workouts call for different weight types. You’ll also notice certain muscles can lift heavier than other muscles. For example, you probably notice you can lift moderately heavy when you do bicep curls. But you have to decrease your weight significantly when you lift shoulders. That’s because most people, men and women, are used to lifting with their arms and not lifting overhead. When most beginners think of weightlifting, they usually only think of dumbbells and bars. While these are crucial weight types, there are many types of weights and they all have their benefits. Which ones should you use? You’ll have to take your fitness goals and weight preferences into consideration. But beginners should try each weight type. If you’re working legs, deadlift with barbells. When squatting, use kettlebells or a weight plate. Then, use dumbbells for lunges. There’s a myriad of hamstring exercises you can do on the cables. There are also many machines that increase your leg strength, such as the leg press. After you experiment with all weight types, you can substitute certain weight types with those you prefer. “Reps” and “sets” appeared a few times in this article. As a beginner, you may not know what this teams. When you start weightlifting, you’ll realize how often you use this information. A rep is each time you lift a weight. Reps are often combined with something called a set. Most weightlifters do two or more sets of a specific number of reps.
For example, let’s say you do 20 reps of ab crunches. You break the 20 reps up into two sets. This means when you do ab crunches, you do two sets of 10 reps.
Now that you know what reps and sets are, you’re probably wondering how many you should do. Well, this depends on the workout and the weight you’re lifting. 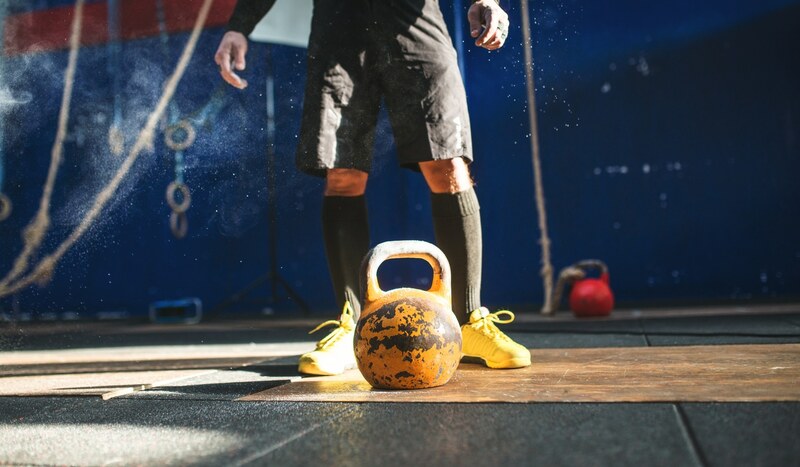 Let’s make this easy and break up the reps-weight ratio in three categories: light, moderate, and heavy lifting. Since heavy lifting requires lots of strength, several reps aren’t required for heavy lifting. But you won’t get results with light lifting unless you increase your reps.
You can break the rep count in as many sets as you need. Unless you’re lifting heavy, most lifters do sets of 10-15 reps. When you start lifting and make fitness friends, you’ll hear a ton of advice. Some people will tell you to lift lighter with more reps or lift heavier with fewer reps. The truth is, both methods are effective. But every weightlifter is different. Lifting heavy with fewer reps forces your body to use maximum strength. This results in quicker results; your strength will increase, you’ll bulk up, and get toned quickly. But lifting only at your maximum not only increases your injury risk, but you’ll be less flexible. If you decide to jump into maximum lifting, go back and forth between heavy lifting and using lighter weights or resistance bands. So you may think lifting lighter weights with more reps is the solution. But this depends on the results you want. If you want leaner and toned muscles, lifting light is the way to do it. You won’t bulk up or increase your strength as quickly. This method is more challenging for beginners than they would expect. Lifting light requires endurance – something you develop when you gain experience lifting. It’s easy to immediately feel fatigued after the 25 rep mark, especially when you’re supposed to reach 40 or 50 reps for one exercise. No method is better than the other. It all depends on your weightlifting goals. Finally, it’s time to create a routine. Many weightlifters focus on one area, such as arms or abs, in one day. It’s also important to do cardio; have a cardio day or two each week and do about 10-15 minutes of cardio after lifting to burn more calories. And never forget to stretch! Stretching decreases your risk of injury and you’ll improve your flexibility. First, decide what you’re training. To start, you can divide your days between upper body (arms, chest, and back), core (abs) and legs (hamstrings, glutes, and hips). After you’re comfortable lifting, you’ll know your muscle groups and can devote days to one or two specific muscle groups. Then, take about five minutes and stretch out those muscles. And now you can start lifting! To start out, don’t go too intense. Take about 15 or 20 minutes to lift. End with a little bit of cardio. Once you become more experienced, you can stop post-workout cardio or replace it with light lifting or resistance bands. The goal is to burn extra calories but cool off from the intensity of weightlifting. Now that you know how to start weightlifting, what are you waiting for? Start picking up those weights! If you need extra help, try our 9-week challenge! Macros VS Calories: Which Should You Count For Weight Loss? If you’re trying to lose weight by way of what you eat, you’ve heard about macros VS calories. Click here to find out what they are and which ones to count. The holidays are coming up in a hurry. That means reconnecting with family and friends, taking pictures, and maybe even paying a visit to your old hometown. No matter what your weight loss motivation might be, it starts with getting educated. 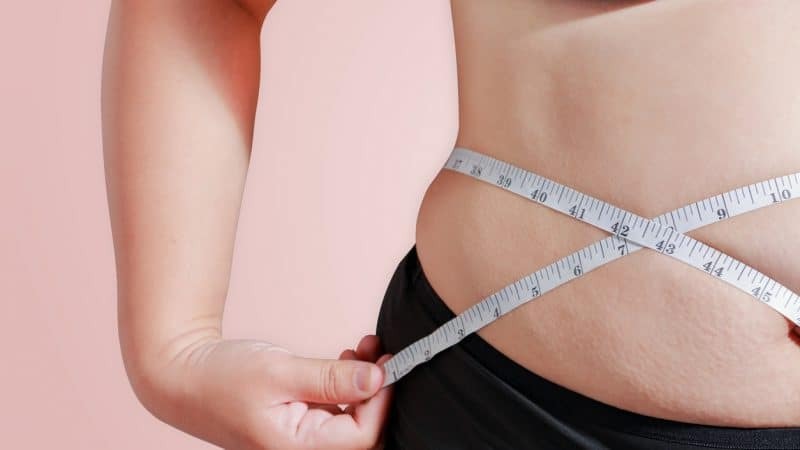 If you’re scouring the internet for weight loss tips, you’ve been hit by an avalanche and you need to sift through the myths and half-truths to find your path. One of the greatest debates about weight loss is whether it’s best to count macros vs calories. We’re putting it to rest once and for all. Here’s what you need to know. Counting Macros Vs Calories: What Do I Need to Do to Lose Weight? We’ll cut to the chase: to lose weight the right way, you need to do both. 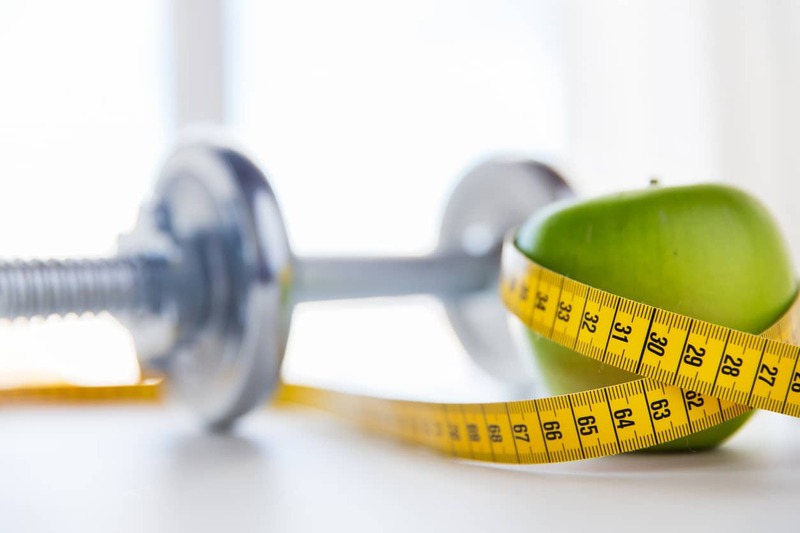 Your body is an atmosphere with a delicate balance, and you need to manage your overall calories as well as your macros to stimulate healthy weight loss. To help you find that perfect balance, we’ll break it down one piece at a time. Most people know the basic concept of weight loss. If you take in more calories than you burn, you gain weight. If you burn more calories than you take in, you lose weight. But why? A calorie is a unit of energy that your body uses for all its functions, from basic survival to hitting the pavement for a run. Our bodies are programmed for survival in the wilderness, where we wouldn’t know when our next meal was coming. If we have more energy than our body needs, the body stores the extra energy inside our fat cells so it can use it at a later time if we can’t get the food we need. When your body needs more energy than you’re giving it, it pulls the energy from those stored fat cells and uses it, leading to weight loss. To put it in simple terms, you need to burn more calories than you eat in order to lose weight. 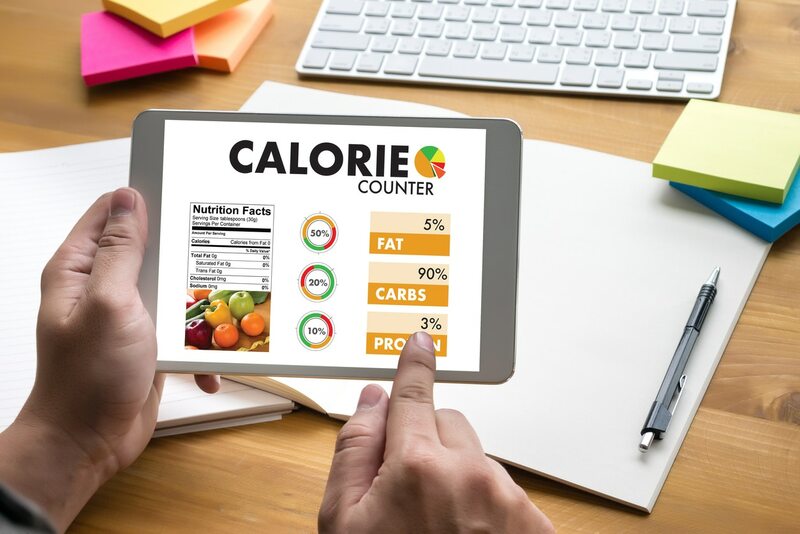 That’s why counting calories is the method most people use for weight loss: because it’s easy and it can get the job done. However, your daily calorie count doesn’t give you the full picture. As we’ll explain later, not all sources of calories are equal. This is the million-dollar question: if I need to eat fewer calories to lose weight, what should my limit be? As you may expect, it varies from one person to another. Here’s how to calculate your calorie goal. Everyone’s body requires a different number of calories for its basic functions like digestion, maintaining a heartbeat, and more. That number is your basal metabolic rate or BMR. Your estimated BMR depends on your height, weight, age, and gender. You can use an online BMR calculator to find your estimated BMR. As an example, let’s use Jane Doe. She’s a 40-year-old woman who’s 66 inches tall and she weighs 180 pounds. Based on an online calculator, her BMR is 1560. In other words, if she were to lay around all day and do no activity, she would burn 1,560 calories. Now that you know your BMR, you need to factor in your typical activity level to see how many total calories your body burns on an average day. Take a look at how much exercise you get in a typical week and assign it a number on a scale of 1.2 to 1.9. If you are sedentary and do little or no activity on a daily basis, you’re a 1.2. A 1.9, on the other hand, would be a professional athlete or someone who exercises often on top of a hard labor job. When you’ve decided where your activity level is on this scale, multiply that number by your BMR. This is called the Harris Benedict Formula. It gives you an estimate of how many calories you need to eat on a daily basis. Let’s go back to our Jane Doe example. She does a moderate workout three times per week, so we’ll put her at a 1.5 on the activity scale. If she multiplies that by her BMR of 1560, her total daily estimated calorie usage is 2,340. The calculations above give you the number of calories you need to eat each day to maintain your same weight. The next step is to determine how many calories you should eat in order to lose weight. It all depends on your desired weight loss rate. In general, you need to burn about 3500 more calories than you eat to lose one pound. Let’s assume Jane Doe wants to lose two pounds per week. That means she needs a 7,000 calorie deficit each week. To hit that goal, Jane Doe should eat 1,000 fewer calories than she burns each day. The puts her daily calorie limit at 1,340. Of course, that’s only part of the story. To get the results she wants, Jane Doe needs to make sure those 1,340 calories are coming from the right sources. That’s where macronutrients come into play in our nine-week weight loss challenge. Food does more than give your body energy. It also gives your body the specific nutrients it needs to perform every function you need on a daily basis. That’s why your macros are so important: they make sure your body has what it needs to function. There are three macronutrients: carbohydrates, proteins, and fats. Each one has its own nutrients and components your body needs. The key to weight loss is making sure that your body gets enough of each macronutrient within your daily calorie goal. Carbs have gotten a bad reputation over the years, and it’s only somewhat warranted. Carbs are your body’s first source of energy. If you take in more carbs than your body needs, it stores the remaining carbs in your fat cells, enlarging them and causing weight gain. If your body needs more energy than it’s getting from the carbs you’re eating, it pulls stored energy from your fat cells and you lose weight. That’s why low-carb diets are so popular. They cut to the chase and stimulate fast weight loss. The second key macro is protein. In the same way that people vilify carbs, they glorify protein. They aren’t all wrong. Protein is made of amino acids, which are the building blocks for all your cells. They’re essential to healthy body functions. Proteins are also necessary for your body to build muscle. The way you build muscle is that when you exercise, the effort creates tiny micro-tears in the muscle fibers. When your body repairs those tears with materials from protein, it makes the muscles stronger. That brings up an important misconception: protein itself doesn’t make you build muscle and get fit. It gives your body what it needs to build muscle as a result of your exercise. You still need to work out to gain muscle. Fat has become a dirty word, but thanks to more and more nutritional education, we’re changing that misconception. Dietary fat isn’t the same as fat in your body. If you stop eating fat, it doesn’t mean your body will burn your fat cells to replace it. Dietary fat is your body’s second source of energy after it has depleted the carbs and before it starts burning stored energy. Fat is also a vital part of your diet because it includes nutrients your body needs to operate at its best. The key is choosing healthy fats, like avocado and eggs instead of high-fat sweets. Now you know the three macros you need each day, but how much of each one do you need? In general, you should aim to get 40% of your daily calories from carbs, 40% from proteins, and 20% from fat. While that sounds simple, it takes some calculation. Let’s use Jane Doe as our example. Her daily goal is 1,340 calories. That means she should get 536 calories from carbs, 536 from proteins, and 268 from fats each day. The problem is that nutrition labels list the grams of each macro in your food, not the calories. That’s another calculation you have to do. Each gram of carbs and proteins contains about four calories. Each gram of fat contains about nine calories. That means Jane Doe needs to eat 134 grams of carbs, 134 grams of protein, and 30 grams of fat every day. Keep in mind that this is all based on a general weight loss goal. Depending on your specific goals, a nutritionist might suggest changing these ratios. For instance, someone who wants to build muscle while they lose weight might need more protein. It’s not about choosing between counting calories or balancing your macros. You need both to lose weight while staying healthy. You might be able to lose weight without considering your macros, but you could compromise your health. Your results also won’t be the same if you don’t keep your macros in line. If you’ve ever wondered why some people who lose weight end up toned while others don’t, the macros are a common reason. Considering how much of this blog is dedicated to math, you can see how important numbers are in getting your diet right. People who say, “I’m just going to estimate how healthy things are,” rarely reach their goals. It’s also important to re-work your numbers every so often. As you lose weight, your BMR will change and your activity levels might change too. Re-do your calculations and your goals every month or two depending on your progress. You need to recognize that these numbers aren’t an exact science. 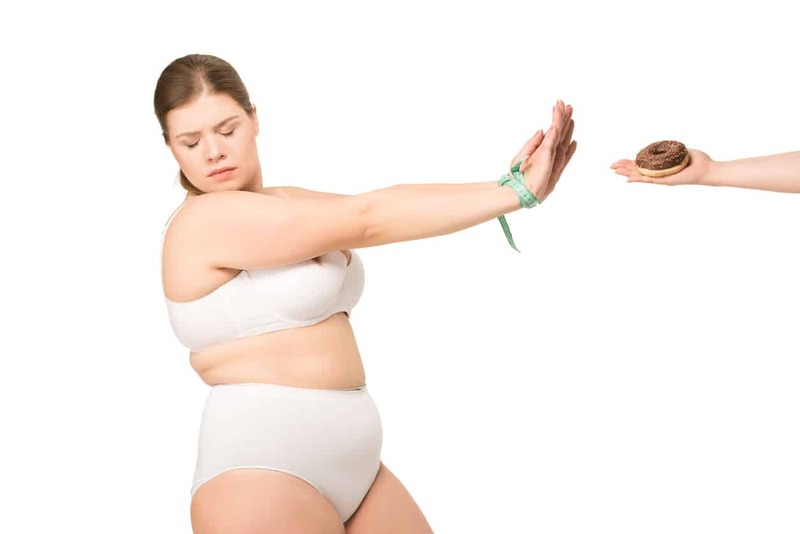 Everyone’s body is unique in the ways and rates at which it processes calories. Studies even show that the numbers vary based on ethnicity and weight history. Monitor your progress and don’t be afraid to adjust your goals and percentages if necessary. As you do this, pay attention to more than the scale. Do you feel run-down all the time? Are you too weak to work out? If so, it’s time for an adjustment. To be blunt, drinking water helps you lose weight. It’s a well-known fact in the medical community, but not all dieters recognize it. Hydration helps you have the energy to work out and stay active. In some cases, people think they’re hungry when they’re actually thirsty. If you drink water when you feel hungry, it could prevent you from eating more than you need. In many cases, people who drink water soon before a meal also eat less food. It’s a great technique to try if you tend to overeat or if you leave the table still feeling hungry. Chances are that on-the-fly decisions have landed you in a position to want to lose weight in the first place. It’s impossible to estimate the calories in a dish if you don’t know how it was prepared. Hitting your calorie and macro goals require planning ahead. Plan your meals in advance to get the balance you need. If you plan to go to a restaurant, look up the nutritional information if possible and plan your meal ahead of time, based on the numbers. This one’s crucial. Study after study has shown that people who lose weight with a partner, coach, or buddy are more successful. Look to a professional like our weight loss coaches for knowledgeable guidance and emotional support. For most people, weight loss isn’t a “wing it” type of task. In many cases, we aren’t aware of how unhealthy our food choices are until we look at the calorie content and the macros they contain. The key is planning ahead. Medical researchers have learned so much about macros vs calories, the way our bodies work, and what causes weight loss. The information above can help you take advantage of it. If you’re ready to get started and begin working toward your best body today, register for our 9-week challenge now. If you’re just establishing your exercise routine, here are some crucial facts about cardio for weight loss. Keep them in mind when developing your routine. If you immediately turned to cardio when you started trying to lose weight, you’re not alone. When it comes to weight loss, it seems like most people associate the treadmill or the track with their path to a smaller waistline. Cardio is definitely an important part of any workout routine, but there are some important things to keep in mind if you want to use cardio for weight loss. You have to make sure that you plan your workouts effectively to get the maximum benefit. When you’re developing your routine, keep these six crucial facts in mind. They’ll help you get the results you want! This first fact might seem like a weird choice to start off with. After all, isn’t the whole post about using cardio for weight loss? Here’s the thing, though — if you want to lose weight in a healthy way, you can’t have a workout routine that’s 100% cardio. You’re going to need to incorporate strength training into your schedule if you really want to see results. 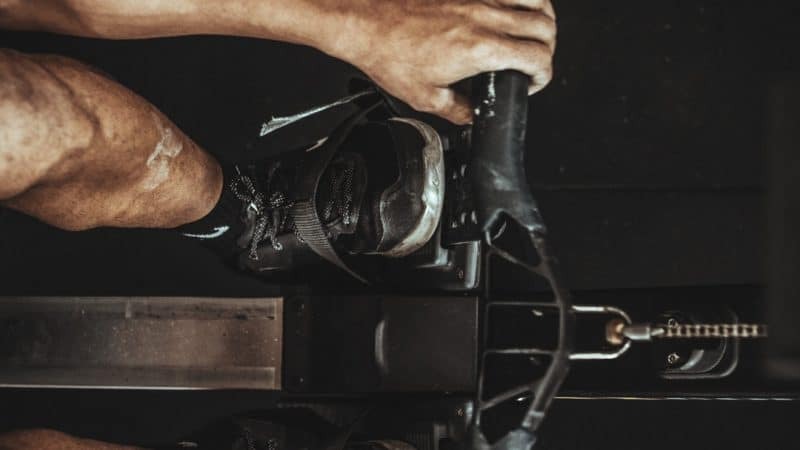 Strength training helps to build muscle mass, which will help you out down the line by speeding up your metabolism and burning additional fat. Basically, the more muscle you have, the more calories you’ll burn on a regular basis. If you’re only doing cardio, on the other hand, you won’t just be burning fat — you’ll be burning muscle, too. The last thing you want to do is to burn what will help you lose weight. If you really want to go all in for both your strength training and your cardio, we recommend putting those workouts on separate days. (Think cardio on Monday, strength training on Tuesday.) If you really want to do both on the same day, though, do your strength training before your cardio. Strength training uses more energy, so you’ll need to be at 100% before you start. We’ve all fallen victim to that pesky little display on the treadmill, or checked our Fitbits religiously to make sure that we’re in the golden “fat burn” zone. What does that even mean, anyway? It’s easy to believe that you won’t burn any fat unless your heart rate is in that magic zone. That’s not completely true, though. The name for the zone is a little misleading. It’s not that you’ll only burn fat in that zone, it’s that a larger percentage of the calories burned comes from fat. You’ll still be burning fat in the cardio or peak zones. What’s most important isn’t the percentage of burned calories that come from fat. If you’re going to pay attention to one of the numbers lighting up your screen, it should be total calories burned. The number of calories you burn is way more important when it comes to the big picture. We can understand where this number came from. 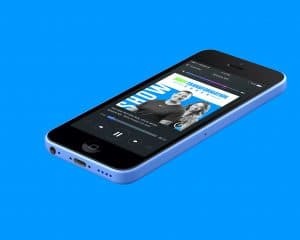 It’s a nice, round number, it sounds like a lot, and people feel accomplished when they can say that they burned 500 calories over the course of their workouts. What’s problematic, though, is when people think that they have to burn 500 calories for their workouts to have any effect. Depending on the type of workout you’re doing, your cardio workouts can burn fewer than 500 calories and still be great for you. High-intensity interval training (HIIT), for example, is a series of high-intensity workouts done in short bursts. You might not burn 500 calories during your thirty-minute workout, but you’ll keep burning calories at a higher rate for hours after you leave the gym. When you think of cardio, do you think of long runs that take a ton of time out of your day? There’s a common misconception that your cardio has to be long, slow and steady to mean anything. Even if you don’t have an hour to spare for your workout, go for a HIIT workout instead. The quick workout will still get your heart rate up, burn calories, and give you the cardio training that you need. People who swear by the treadmill can still get the benefit of a shorter workout. Doing shorter sessions at a higher intensity will help you get more out of your workout in less time. There are lots of runners who enjoy waking up early in the morning and going for a run first thing. That’s a great way to start your day…as long as you eat something before you head out the door. 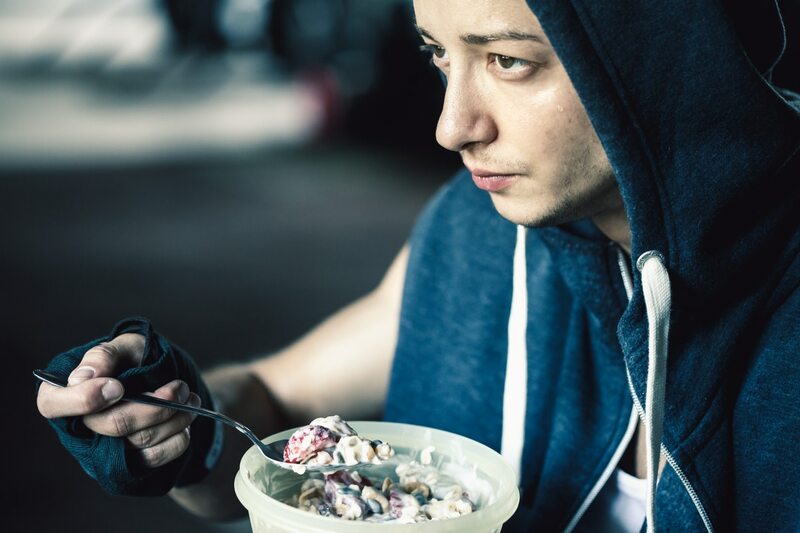 When you’re in a calorie-burning mindset, it’s easy to think that to burn more calories, you shouldn’t eat before you workout. If you don’t eat ahead of time, your body has to burn off the fat that’s already on your body for energy, right? Nope, not for cardio. Your body needs something to fuel it, and it will turn to the carbs and fat in your muscles, not the fat in your fat cells. We’re not saying to eat a full meal and then go for a run — just eat a light snack to give your body something to work with. Speaking of eating, you still have to have a proper diet if you’re planning on using cardio to lose weight. Just running an extra mile every time you opt for a cookie instead of a carrot stick won’t really help you out. If your diet is still poor, doing lots of cardio will only do so much. Nourish your body with the right foods for the workouts you’re doing. For example, you incorporate a lot of strength training into your routine, make sure you eat enough protein. Cardio combined with eating well can help you sculpt your body into the shape you want to see. If you keep these crucial facts about cardio for weight loss in mind, you’ll be able to see better results. Make the most of your workouts and use your cardio effectively. Your body will thank you. Need a little bit of an extra push? Register for our Body Transformation Challenge to take your body to the next level. You don’t have to rely on the scale to track your weight loss process. Find out how to take body measurements for another way to see your progress. Want to learn how to take body measurements for weight loss? Then you’ve come to the best place! We’re going to tackle on the sensitive topic of losing weight, and everything it involves. Many people all over the world struggle with weight loss. It’s no mystery that there is an obesity issue in the United States. But what is the culprit behind so much weight gain, and can we stop it? We’re going to be answering all your questions about weight loss and tracking results. We’ll take a closer look at all your tracking options, and what’s best for you. You’ll also gain more tips and tricks for keeping up with your weight loss process. Keep reading to see the best options for tracking your weight loss body measurements! You’ve made the choice to lose weight, congratulations! That’s one of the hardest parts done. In truth getting healthy and losing weight is all about the right mental state. That’s where tracking progress carries the most power-encouraging focus. You may be wondering: what’s the point of tracking progress? While some choose to venture into losing weight without a plan, the best option is to have a goal. Goals are achievable! Tracking your progress is what will get you from point A to point B. Are there other benefits to tracking? Yes, in fact, there are several. We want you to have a full understanding of why tracking progress is a great option for everyone. Let’s examine each benefit closer. It’s fun to see the difference in your body from start to finish. You might consider taking before and after photos to show everyone your progress. Tracking your measurements is vital for your weight loss progress. It’s more of a mental habit to focus your brain on continuing to lose weight. In our modern age, there are many temptations that can get us off the path of weight loss. There’s fast food at every street corner, and full-time jobs make us sleepy. All we want at the end of the night is to curl up and doze off with a full belly, right? This throws a major wrench in the gears when we’re trying to lose weight. That’s why tracking your body measurements will keep you from slipping up. You’ll see the exact body parts you’ve been neglecting. 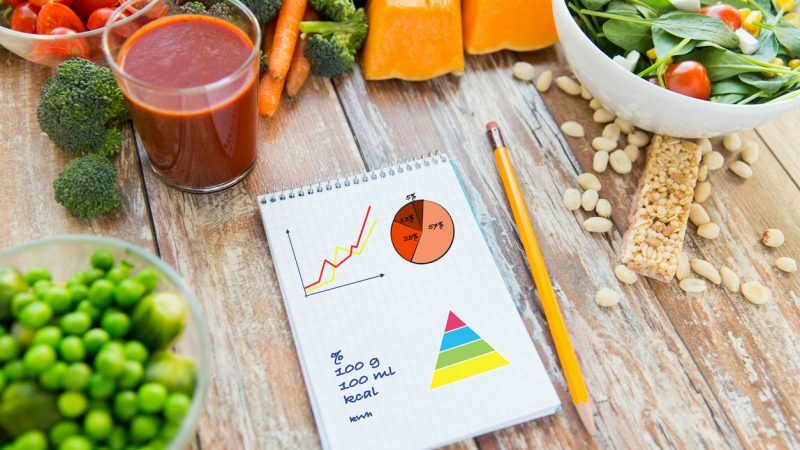 You’ll know how to better tailor your nutrition plan. Plus, it’ll target a workout routine to get better results. You’ll get to decide if you should get serious and hit the gym or do at home workouts. Let’s break apart all the benefits of tracking your progress during weight loss. Motivation is crucial for losing weight, so you want to ensure you are practicing the best habits. Listen to music, and get yourself ready to pump some iron. Tracking your progress is a good habit to remind you of your success so far. It’s also going to show you where you need to focus your energy. For example, if you are noticing more weight in your tummy area, you might avoid heavy carb lunches. Another culprit behind tummy fat is stress hormones! In that case, try out some meditation workouts at the office or during lunch. Quick yoga poses can also release tension that gets stuck in your shoulders from hours of desk work. It’s easy to get caught up in the stress of everyday life. Tracking your progress is a great way to get your mind clear and practice mindfulness. Which leads us to our next topic. Another benefit of tracking your progress is that you develop mental resistance. That means that it displays all your triggers, and helps you become more mindful. Mindfulness is helpful for losing weight, but also maintaining weight loss. As you track, you will notice patterns or trends in your data. You will see a clear picture of what makes you overeat or indulge. You can start to avoid foods or drinks that cause your weight to spike. Drinks like alcohol can sabotage your weight loss goals, so keep up the focus. This can be hard to avoid when you want to have a normal social life. Going out to restaurants is a popular way to socialize, or have work meetings. The most difficult aspect of avoiding triggers is resisting temptations. This is where tracking your progress comes in to save the day. It’s harder to give in to temptation when you know the consequences of overindulging. While it’s hard to say “no,” you’ll be glad that you were strong and hit your weight loss goal. We know tracking progress results are beneficial to our weight loss. Now, let’s get into what body measurements are. Body measurements are measurements of body parts like the neck, arms, torso, hips, and so on. In America, the metric system most people use is inches to record track results. You might have a fitness coach that uses a tape measure for the body measurements. Most times, they use this to jot down your starting body measurements. Taking body measurements is all about precision, and placing the tape in the right place. It’s also important to note that taking body measurements will vary in women and men. That’s because, of course, women have a bust. These areas will reduce in inches as you lose weight. It will also reveal details about your workout. Here’s an example. If your waist is smaller, but the legs are bigger, then you’re practicing cardio or leg exercises. You body measurements are telling, and will more often tell you what you need to focus on. 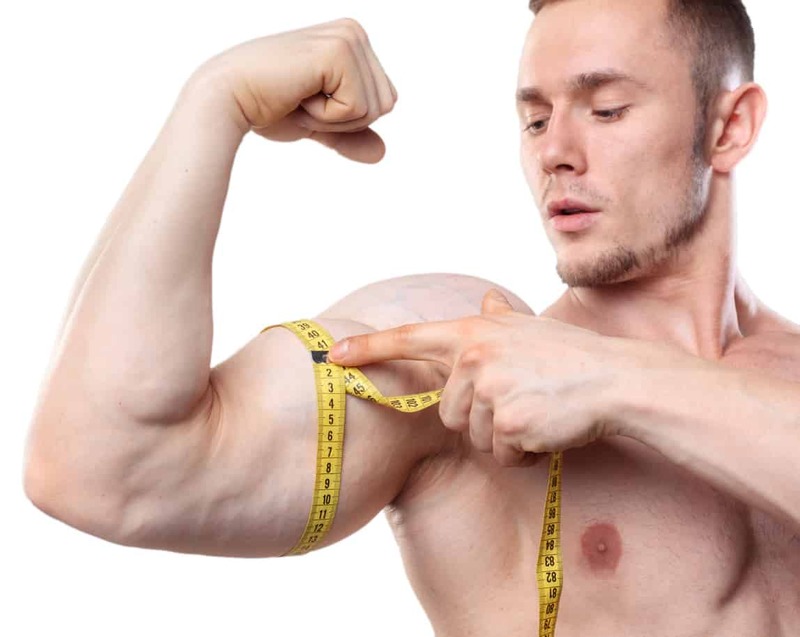 Measuring biceps might be the trickiest of the body measurements. Don’t worry, it’s easy so long as you remember “flex.” That’s right when you’re measuring a bicep, you’ll need to flex the muscle. The goal is to get the tape measure around the bicep at it’s highest point. The best way to tackle this measurement is to have the person flex their arm up. Then, tell them to flex their bicep muscle. Wrap the tape measure around the bicep. Be sure not to pull too tight or let it hang loose. You want a good, solid tension on the tape measure for an accurate reading. Then, write down the total inches on your recording device. Measuring the forearm is along the same idea as the bicep. This measurement can be done with the arm pointing straightforward. Again, tell the person to flex their arm muscles, which will flex the forearm. Wrap the tape measure around the forearm, below the elbow. Don’t put the tape measure on the elbow, and don’t get to close to the wrist. You’re looking for the highest point the muscle juts out. Make sure your tape measure is level to the zero. Check the tension on the tape measure. Is it too tight or too loose? Once you check all your bases, go ahead and take your measurement. Record the amount in inches in your recording device. Face the person you are measuring head on. Take the tape measure and hold it horizontal to the person. Then, place one end of the tape measure in the center of their chest area. Take the other end and wrap it around their body so it goes over their back and around the other shoulder. Allow the other point to meet with the first end of the tape measure. This is your measurement. Again, check for tape measurement tension and level the ends starting at zero. Record your measurement. Like a shoulder measurement, wrap the tape measure around the person. Keep the tape measure straight and horizontal. With a gentle tension, wrap the tape measure around the back of the woman. Fishing the tape measure under each arm, let it rest against either side of the chest. Be sure to align the tape measure at the highest point of the bust. The neck is the easiest measurement of all. For men, you’ll want to wrap the tape measure around the middle of the neck, below Adam’s apple. For women, it’s measured around the middle area of the neck. Here, you want to ensure that the tape measure is straight and horizontal. Check the tense as usual, and line up the tape starting at zero for accuracy. The waist for women is at the smallest point. Unlike muscles, you want to get the smallest point where the waist comes in. Picture putting on a belt. You want to be sure the tape measure is straight and in a horizontal line. If it drops the reading will be inaccurate. Keep a solid tension on the tape measure to avoid inaccuracy. Wrap the tape measure around the smallest point of the waist. Most times, this is between the space of the bottom of the ribcage and above the belly button. For men, you can gauge placement like women. Use your hip bones for guidance. Feel out the area above to find out where your body caves in the most on each side. For both men and women, you’ll want to wrap the tape measure around the width of your hip space. Include in your measurement the highest point of your bottom. Wrap the tape measurement straight, tense, and horizontal. Be sure to align the measurement with the zero for accuracy. Record your measurement. The idea is the same with these bodies parts as it is for the others. You want to get the circumference of the thickest, or highest point of the muscle. Measure each leg by itself. Wrap the tape measure around one thigh in the mid-section of the quad area. This is about three or four fingers down from the pelvic region. Remember, that the goal is to measure around the high point. Measure the right leg the same. For the calves, start off with one leg. Again, look for the highest point of the muscle and wrap the tape measure around. If you flex for one measurement, stay consistent. You’ll need to flex for all measurements to avoid mistakes later on. It’s good to make a note if you keep a body measurements chart or have a record keeping. There are different ways to keep track of your progress. You might have a paper journal or graphing paper notebook. Some prefer other avenues like smartphone apps or even excel spreadsheets. How you choose to record keep is up to you and your convenience. Each has its perks. Weight loss smartphone apps are versatile and nifty. You can download food apps for tracking food items you intake or tracking your workout. If you like to check your heart rate during a workout, this is a great option. There are apps which will break down each food item you ingest. Some split foods into different percentage groups of nutrition. This makes it especially easy to see your calorie count, macros, or fats/carbs/proteins. From here you can see if you are eating too many sugars or taking in too much protein. Want firsthand help on how to take body measurements? Let us give you a hand! Try out our popular 9-week challenge for the ultimate body transformation. Leave 2018 in the past, and embody the new you with a literal new body. This challenge will get you access to all the resources you’ll need to make the change of a lifetime. You’ll get information on diet and nutrition, and workout routine tips and tricks. Do you still have questions? Contact us today with any doubts or concerns. You can also check out our FAQ section for quick answers.